Untitled (Orphans) | Mumbai | oil on canvas | 69.9 x 57.5 cm. 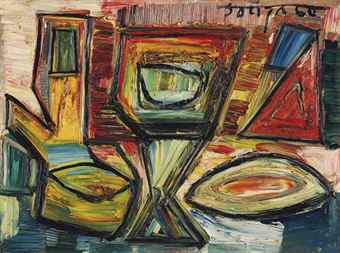 Throughout his long, prolific life, Ram Kumar has been one of India’s most widely celebrated artists. Born in Simla, in Himachal Pradesh, India, he studied at the Sarada Ukil School of Art in New Delhi. 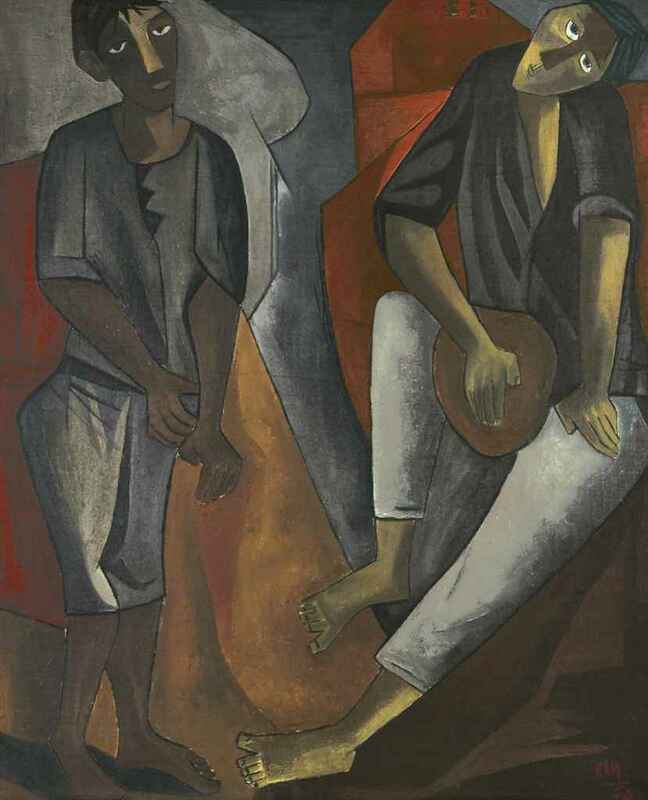 In 1950, he left India for Paris and studied painting at the ateliers of Andre Lhote and Fernand Leger and returned to India soon thereafter, ripe with Modernist influences, particularly the stylings of Amedeo Modigliani. 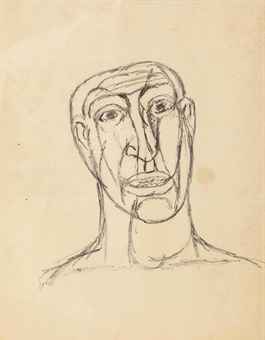 Still, he was deeply disillusioned upon returning to India, and most of his works from the brief figurative period that followed reverberate with a sense of desolation and loss. For most of his subsequent career, his work was decidedly abstract, often subtly shifting, jagged patchworks of monochromatic lines, blocks and plains. In 1969, he travelled to the United States and Mexico on a Rockefeller Scholarship, and from the 1970s, much of his work was based upon his personal recollections of experiences and memories of travels to remote, mountainous, ancient, spiritual centers in Northern India, Machu Picchu, or the mountains and Buddhist monasteries of Ladakh. In his lifetime, Kumar’s work has been in more 35 solo exhibitions in India, with retrospectives in Bombay, New Delhi and Kolkata. He has also participated in group shows in Geneva, Paris, and others and at the biennales of São Paulo, Tokyo and Venice, as well as the Royal Academy of Arts in London and the Arts Council of Great Britain. 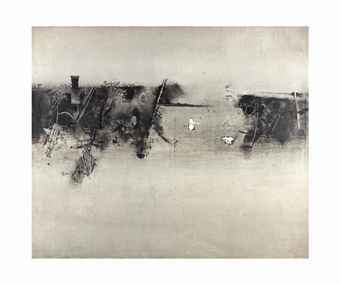 In 1993, a large retrospective of his work was held at the National Gallery of Modern Art, New Delhi. He was awarded the prestigious Padma Shri by the Indian Government in 1979, one of India’s highest civilian awards. He lives and works in New Delhi.